Opening a grand, million dollar church always seems like a good idea at the time. Such beautiful structures can bolster a community and give a unique sense of place to an area. Of course when the local economy dries up, supporting such a massive edifice is usually the first item to be cut from the budget. 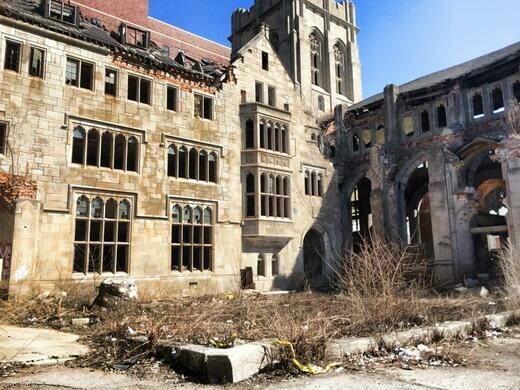 Luckily it often results in lovely modern ruins such as those of the City Methodist Church in Gary, Indiana. The City Methodist Church was first built in Gary in 1926 for an astronomical final cost of over a million dollars (which would translate to over seven million today), around half of which was donated by the US Steel corporation. However the dollars were on full display. The church is a massive, nine story piece of eye-candy designed in an English gothic style that incorporated ornate stone work, countless molded arches, towering pillars, and of course copious amounts of stained glass (although not TOO much, as many of the windows were simply made of glass to cut costs). The beautiful building looked like something that was picked up from historic England and plopped right down in the middle of Indiana. 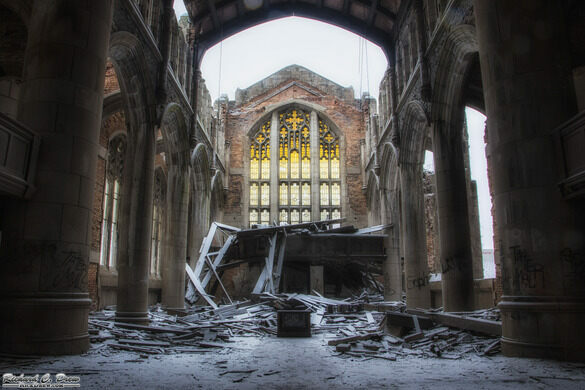 During its heyday, the church ministered to almost 2,000 congregants, but as time passed and the fortunes of the steel industry, and by extension Gary, faltered, the church fell into ruin. By the mid-1970s the town’s population had dwindled significantly and the church’s congregation had dropped to the low hundreds. Despite renting out some of the space to the local university, the upkeep on the grand church soon became too much for the owners to handle and by 1975, the church was closed for good. The grounds quickly fell victim to disrepair and vandalism. 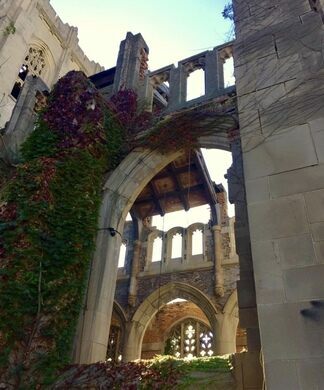 The church has remained abandoned to this day, but the neglect has turned the imposing gothic chapel into a haunting piece of urban ruin. 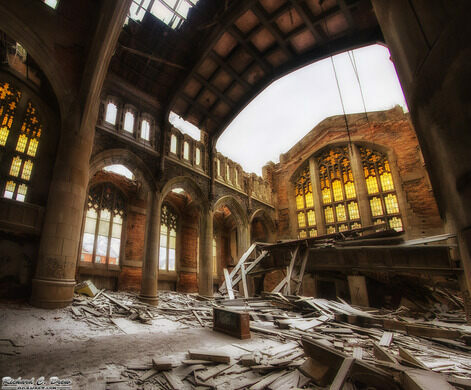 Multiple films have used the crumbling church as a backdrop including A Nightmare on Elm Street and Transformers 3. 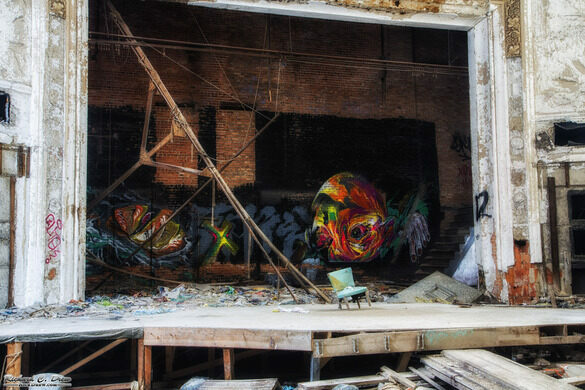 The church, which is now dangerously unstable in many places, is also a favorite spot for urban explorers. 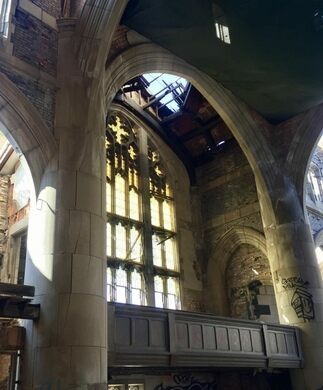 In June 2017, the Gary Redevelopment Commission was awarded a $163,333 grant by the John S. and James L. Knight Foundation to redevelop City Methodist Church as a “ruins garden,” with an amphitheater for weddings and receptions. The grant, awarded through the 2017 Knight Cities Challenge, will be used to begin stabilization of the structure. 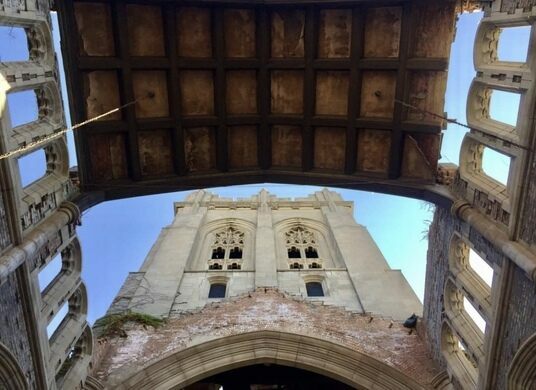 The redevelopment commission will pay for an engineering study that will determine the structural integrity of the former house of worship and what work is necessary long-term.